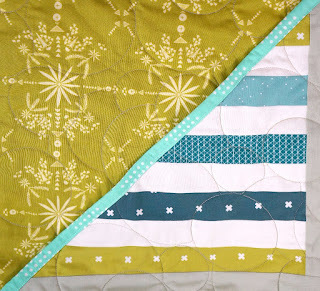 You can find the instructions for the Striped Corners on pages 72-73 in AnneMarie Chany's book, Sister Sampler Quilts. 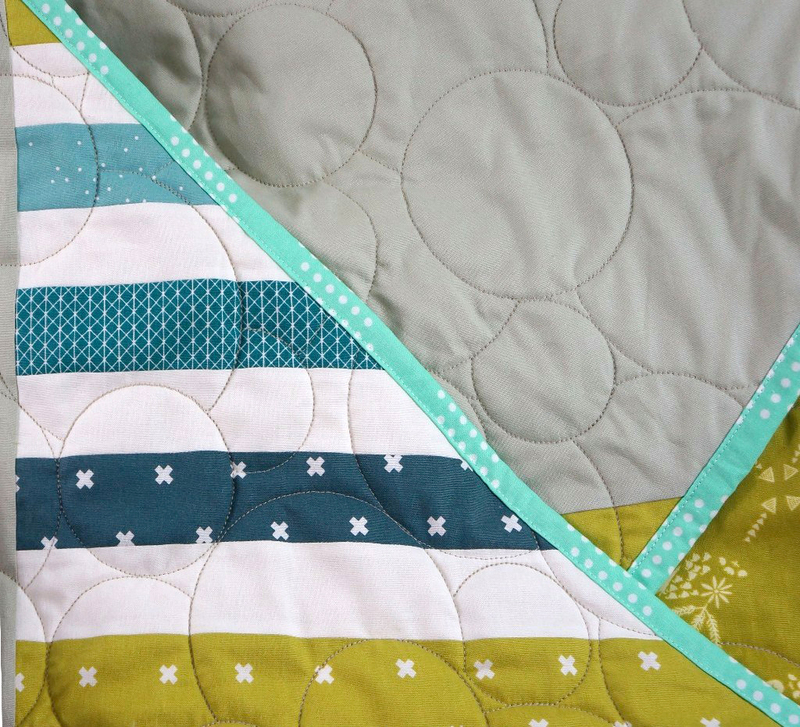 Since we're sewing the version of this quilt with 12" blocks, you'll need to strip piece two panels with your prints and sashing for the WOF. Be mindful of which direction you cut your diagonals! 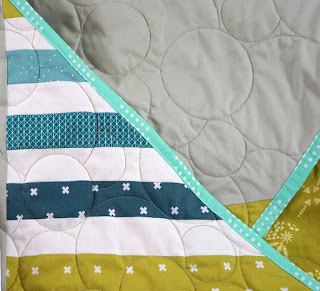 If done correctly, you should have extra fabric strip pieced to set aside and use for another project. If you're like me, and aren't paying close attention, you'll need all of that fabric to make up for a silly mistake you made. 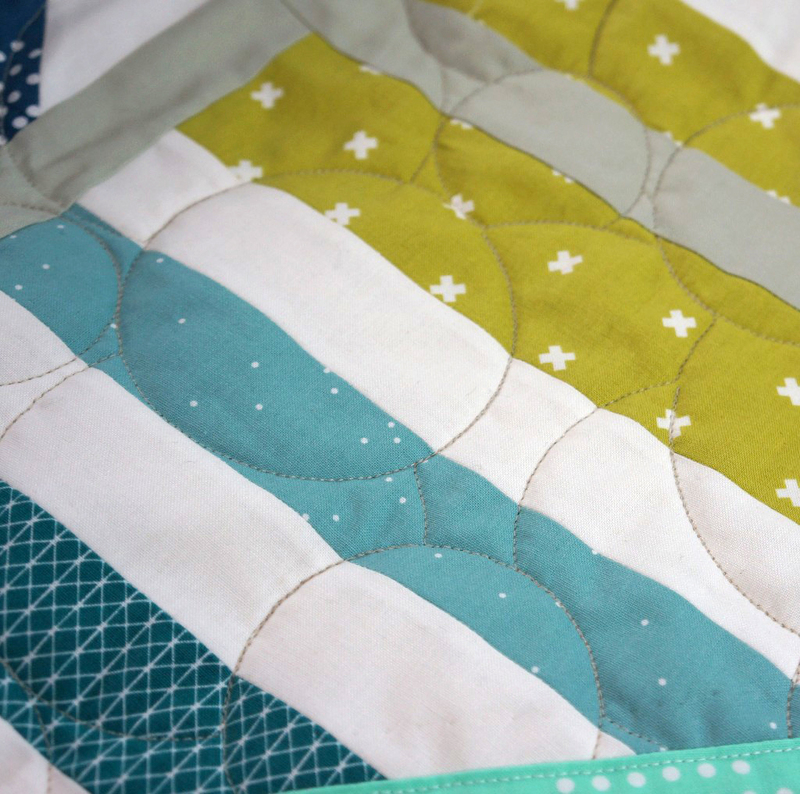 Another thing to keep in mind is that these blocks will be trimmed on the bias so they have to potential to stretch out of shape if they're mishandled. You should be careful with these sections between cutting them and the assembly next month--just stow them away in a safe place so they won't have the potential to stretch!